EternityTFC aims to create a pure TFC experience and we will keep the server updated with the latest stable TFC version. We are a whitelisted server, but due to serious time constraints we are not actively seeking new members at this time, we will change this post the moment we are. Please be friendly to other players and the staff, read through the information and follow the rules. As a server we cater primarily to builders and players who prefer to keep playing for a longer period of time. We will keep a map reset at bay for as long as is technically possible and we have set up the server in such a way that progress is more in line with SMP. 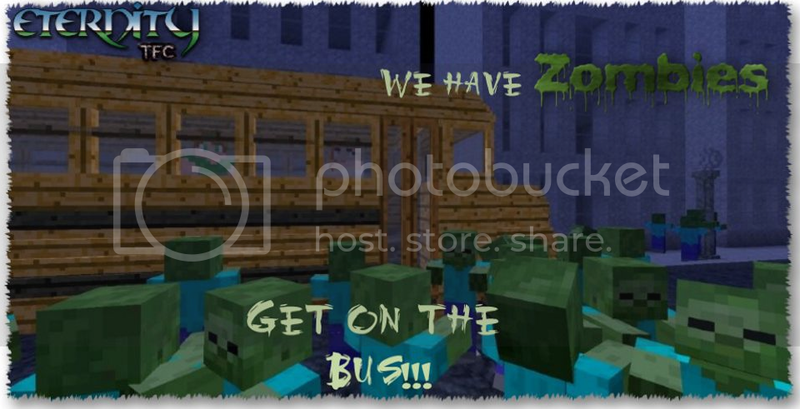 This does not mean you can not play regular survival, we have vast empty planes and many unexplored forests! - Large 15.000 x 10.000 pre-generated map. - No limitations on animals, farmland, bushes, trees or anvils. - Use Towny to protect your builds. - Your Towny town will never be deleted. - Use Lockette to protect your things. - All block and inventory interactions are logged, griefing and stealing is pointless. - A very dedicated, loyal and experienced crew. - Protect an area outside of town with an outpost. - Use Dynmap to plan your builds or routes. Welcome to the tfc server Family. Is always good to see new people investing time and effort in gathering people together to play this amazing Mod. Best wishes for your server. Love the House with the ship in the background. One thing that stroked odd is that the server is only tfc but that house obviously has Carpenter's Blocks. One way or another is beautiful. Thank you, great to be here with a server of my own. I will convey your compliment to Motherwyvern, especialy since we do not have the Carpenter's Blocks mod on the server. 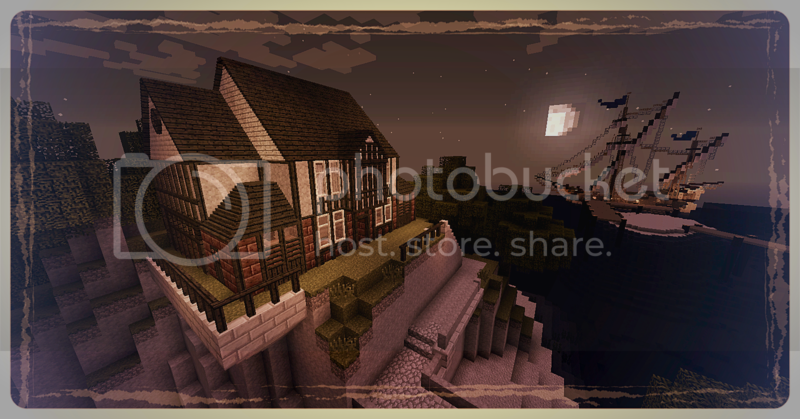 This little inn has been made with a lot of lumber and some chiseling, only native TFC blocks have been used. that's amazing, chiseled blocks? It took forever to do that, right? may I take a look on it? It looks beautiful. would consider whitelist me in your server? I just want to see that Inn by myself. One suggestion, You have a nice logo. put it in your signature here in the tfc forum, so whenever you comment it also advertises your server. specially if you link to this post. @Tony: Thx! for the suggestion, I had not thought of that. P.s. Tony, clean up your personal messages, I was trying to send you something but you cant receive anymore messages. just did, thanks for the heads up. It just fills up so fast. Well if is close to spawn I do not mind walking there just to look at it. We have updated TFC to the lastest stable version, which is 0.79.28.908 (make sure your Forge is up to date, you need Forge 10.13.4.1558). You can download the correct version of TFC here and the correct version of Forge here. Our server has been open for about two weeks now and we have had quite a few people sign up with our website to have a look. So far we have three monthly subscribers and would love to see more. I realize that the monthly fee is a turn off for some, but for about the price of a coke and a candy bar you can play TerraFirmaCraft for thirty days with some really good people. Don't know if you will like the server? It's less than a dollar to try it out for a week. From all of us here at EternityTFC, hope to see you soon. After receiving reports from our players we decided to follow Happy Diggers' example and also tweak our food decay. We similarly changed our decayProtectionDays setting from 24 to 6. Check out Food Decay Russian Roulette or the EternityTFC website for more information. 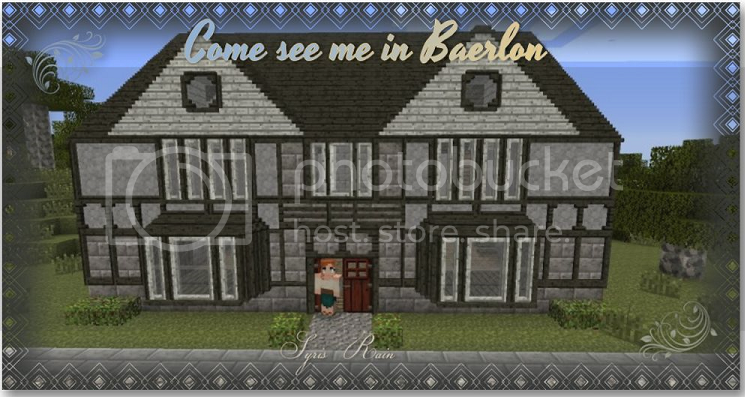 This week I'm featuring the bathhouse in grand Illian, the hub city of EternityTFC. SyrisRain is enjoying a long deserved spa trip after last weeks brush with zombie hordes. Interested in joining us? Browse our website at http://eternitytfc.enjin.com/ . Spring is here! 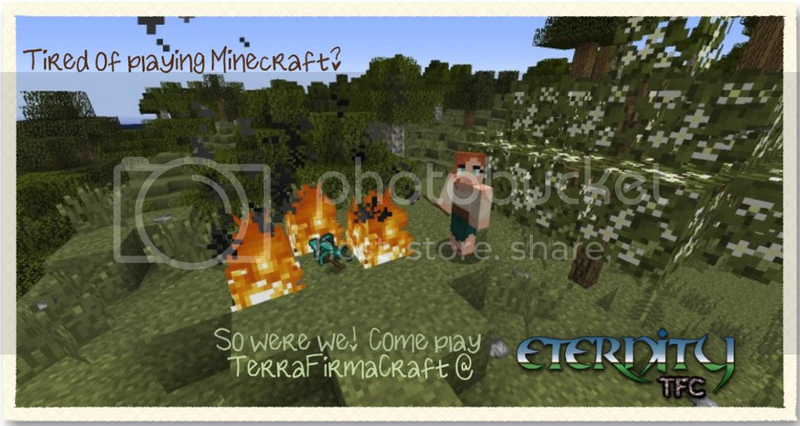 What better way to spend spring break than playing some TerraFirmaCraft on EternityTFC? Can't find the time to play sometimes? Play when you can and your build will be right there when you return even if you need to leave it for a few or a few months. Come join us on EternityTFC! We have updated TFC to the lastest stable version, which is 0.79.29.922 (make sure your Forge is up to date, you need Forge 10.13.4.1558). 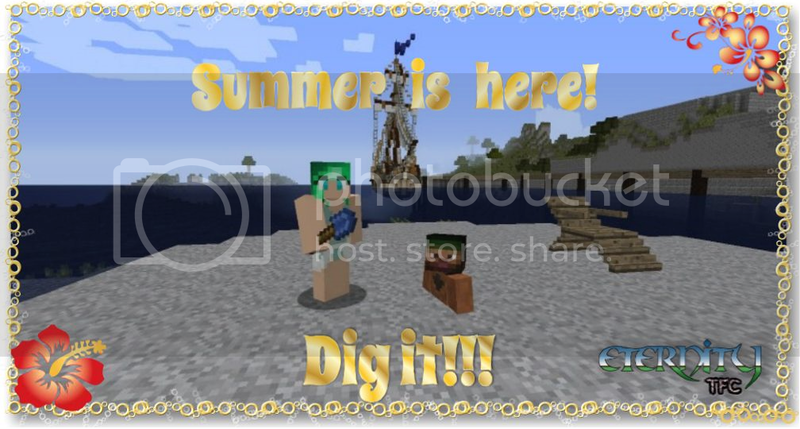 It's finally time for summer and we here at EternityTFC invite you to join us! It's been about half a year since we started the server and we have had some really great players. Besides a technical bug here and there our only real complaints are the lack of others to play with. If people avoid the server because "no one plays" then there won't be people on it playing! So come explore, share your progress and your creations and most important of all have fun! We have spruced up the harbour, come and check it out! We will post some more pictures in the City of Illian thread in the next few days. Dear EternityTFC subscribers, both current and former. Motherwyvern and I would like to thank you for having chosen our server to play on. We have been quite pleased with the support that you have given us in doing something that was a bit of a dream for both of us. We would like to inform you of some changes that we are going to make to the server. As neither I nor Motherwyvern have the time to devote to it at this time we will be changing to a white listed private server. Anyone who has purchased a subscription at any time the server was active will be on the white list and there will no longer be a subscription fee. All current subscriptions will be cancelled. Donations will still be welcome but not required to play. We will not be actively seeking new members at this time. We will still offer support, but due to the lack of time it may not be as prompt as it was in the past. The rules will stay the same and for now the website will remain for anyone who would like to utilize it. 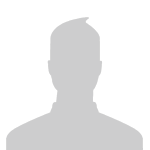 If you find you are not on the white list and were a paid member at one time please contact us and we will add you as soon as possible. Please feel free to contact us if you have any questions and thank you again for having joined us! Skills: I am good with farming and building. I hope you count me in soon! You will never regret it! Due to a lack of time we have gone to a private server status and will not be accepting new members at this time.